Baidu Spark browser is a tool to browse web faster with high speed, good looking interface, less resource taking system, fast download manager and more. 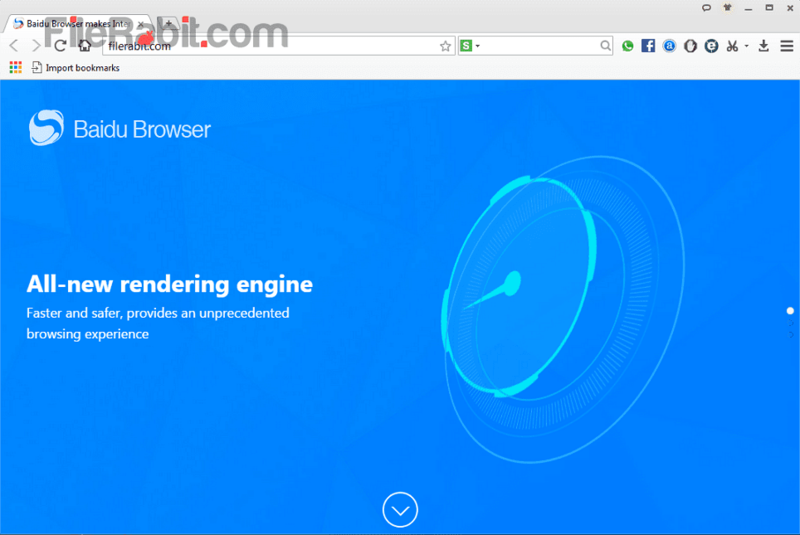 Baidu web browser is using the same engine which was used in Google Chrome / Chromium explorer. 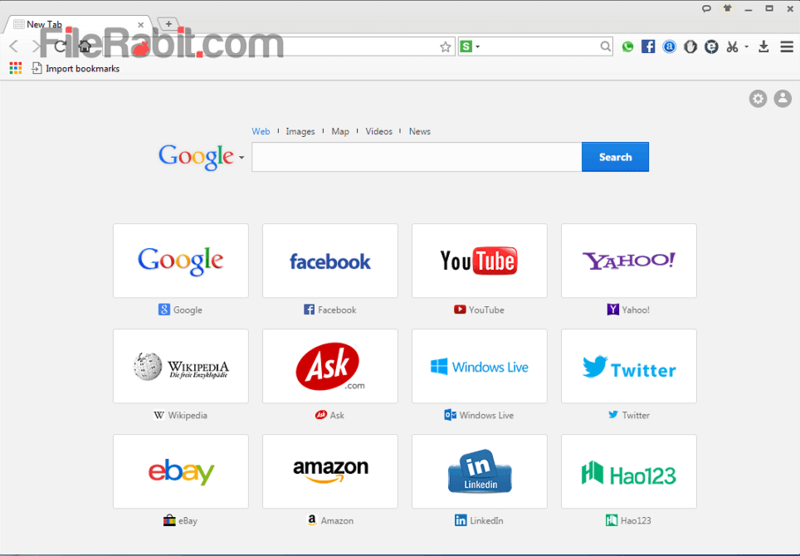 Although its powerful internet browser using unique color scheme, menus, bookmarks and default start page. Fortunately, Baidu Spark Browser automatically collect extensions, bookmarks and other browsing data from Google Chrome if you already using it on your OS. The default start page includes different bookmarks of mostly opened websites from worldwide. The interface is completely customizable with variety of skins available free of cost. Chrome and Firefox are high resource taking internet browser that will definitely slowing down overall computer performance. Internet Explorer is one of slowest browser which takes longer time to browse a website. However, it is one of less resource taking browser even after using the Chromium engine. Baidu lets you bundle of features in security, interface, extensions, restore sessions, internal screenshot taker, media downloader, Whatsapp integration, Facebook integration, drag and drop, keyboard shortcuts and more. Security and virus scanning is an advanced feature because it has integrated virus scanner alongwith adware blocker. We see many malicious advertisement that would be a bigger source of infect user computer. Baidu has latest definition updates which will keeps your computer safe from adware and virus based threats.